Living with fibromyalgia is a challenging task. To complete your essential chores is inevitable for everyone but whenever the fibromyalgia hits you, you would abandon everything and become depressed. Though fibromyalgia is the definition of a myriad of psychological and physics issues controlling these symptoms and dealing with them is not a difficult job. 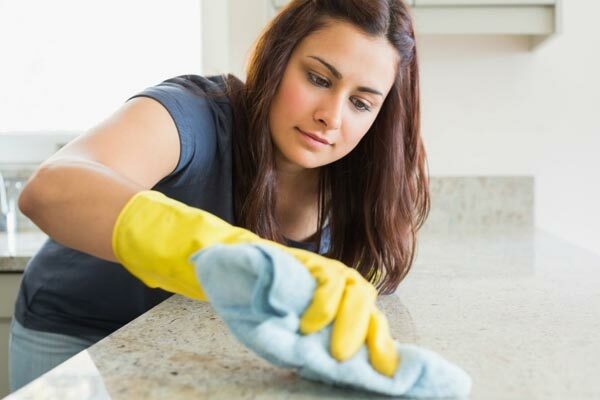 Keeping your house clean is never a tough job, but, when you’re suffering from the fatigue syndrome, every single chore becomes more energy demanding and problematic. Good news is that you can complete all your essential chores efficiently with the help of highly recommended advice of doctors. According to doctors, the biggest mistake that most of the fibromyalgia patients do is they try to do all tasks at one time, which could accelerate your fatigue and contribute to pain. Even if you’re living with the fibromyalgia, the key to making your life simpler and easier is taking the effective measures according to the doctor’s recommendation. 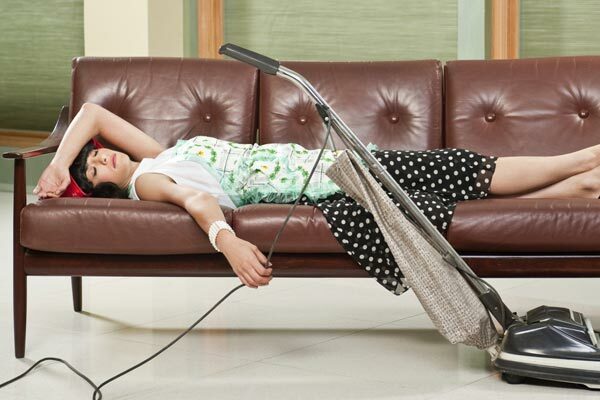 But before implementing the advice, you should know that what household chores can make you exhausted. What tasks are harder for people living with fibromyalgia? Preparing meals, mopping the floor, and decorating ground may seem minor and less-demanding tasks, but, people living with fibromyalgia would find these small tasks like climbing a hill. The main issue is patients with fibromyalgia are touch-sensitive. The second issue is their energy levels are quite low. And the third issue is they don’t get enough sleep. All these factors are co-related and make household chores even more difficult. What can you do to get most of your chores done without any difficulty? Fixing the scrappy things couldn’t help you, in fact, it could make you more fatigued and excruciated. Sit in a calm environment and organize your chores. Make a hierarchy of what you can do first and what you’re going to do next. Planning is a key to accomplishing every goal. So, why not dealing with the fibromyalgia? Only you need to be very smarter while picking up the activities of daily living. Make sure that fibromyalgia won’t flare up due to excessive workload. Making a single task responsibility of your spouse or children could be a big help for you. By doing this, you would only supervise them and your work will be done without investing too much effort. Another importance of delegating the chores is extra stress won’t be placed on your muscles and joints. Hence, you won’t get any potential trigger of fibromyalgia. Shared housework divides the work among the entire family and also let your relationships very stronger. The heavier tasks, like laundry loads and vacuuming, should be assigned to other family members. Also, don’t forget to look very busy while supervising! Of course, if you’re starting your task generally and not making your priority list, you would be making the biggest mistake. Decide what task is much more important for you and stay focused on that particular thing. More you draw your focus on a single task, more rapidly you’ll achieve your goal. So, let’s do an activity! Take out a white blank paper and make two columns. Start thinking about the chores and write down in the specified category. You’ll surely enjoy this activity and your 50% problem will be solved! Of course, you don’t need to do the strenuous activities and make yourself more lethargic and dim. Just divide the tasks into two categories, first one is light activity and the second one is heavy activity. Start your household chores with light tasks and then take a break. All the heavy tasks should be followed by the light task. Plan some rest intervals in between your chores because this will give your body relieve period and permit you to work longer and more profoundly. Avoid standing as much as you can and alternate it with the sitting. Like if you wash your clothes while standing, switch to sitting position next time. With the help of switching your position, your joints will be de-loaded from the excessive strain. Well, music is not only a set of rhythms and sounds, in fact; it’s a brain-booster and energy-loaded. When you enjoy the upbeat music, you feel more motivated and enthusiastic. Indirectly, this idea will help you to stay concentrated on your chore and you won’t pay attention to your pain. Try breaking your bigger tasks into smaller one. If you’re carrying heavy objects, like laundry loads once in a week, divide this load on the consecutive basis. When you put less stress on your joints, you’ll less likely to have the fibromyalgia flare-ups. To keep everything in pace can aid you in managing fibromyalgia. Work within short bursts along with breaks. While pacing yourself, don’t forget to do deep breathing. Some people with fibromyalgia also faced a problem when they used different chemical agents. To keep your washroom clean, laundry detergent would be an inexpensive solution. Tubs, toilets, and sinks can be cleaned superbly with laundry detergent and as you know that it will not trigger your sensitivities as well. Since you can also experience the fragrance sensitivity, multiple smells around you could contribute to the fibromyalgia flare up. However, sponges can be the house of germs, so, instead of using the sponges, tries to use the old cloth for cleaning purpose and drop it in the laundry when you’re done the cleaning. So, just implement all the above-mentioned ideas and get fibromyalgia managed instantly! These are great tips, and well written! Thanks for referencing my article! These are great tips have been using these tips for the last few years .I got these tips from the FM clinic that i go to . I agree to all of these! These articles really are awesome. Thanks for posting!